I have been craving fish for weeks now. My mind has been preoccupied with thoughts of thick tuna, seared quickly and then served with sesame. 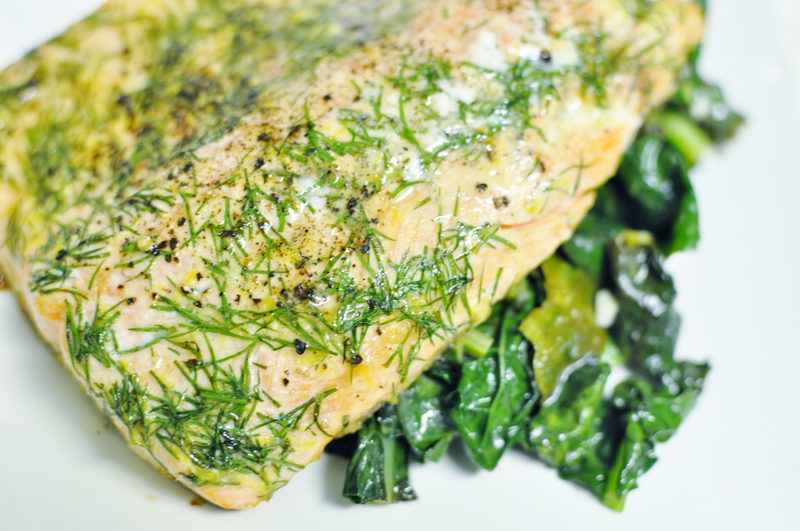 I’ve been thinking cold poached salmon with capers and crisp butter lettuce. And I could never forget halibut, particularly the stark white creaminess of a baked halibut steak. I succumbed on the walk home from work tonight, there’s no ignoring a craving when one nestles into my brain. I bought a walloping halibut steak that could have realistically fed two people if I hadn’t been caught up in the fervour of halibut madness. Because halibut has such a delicate flavour the fish only needs to marinate for 30 minutes, and to be honest 15 minutes would get the job done in a pinch. This fresh corn salsa is a great way to use up leftover roasted corn; in fact you could easily roast a few extra ears the next time you make it for dinner and eliminate the first step in making the salsa. The fruits and vegetables seem to integrate best when cut very finely, I suggest a good podcast or phone conversation with a friend while doing this part (and chopping in total silence isn’t a half bad way to go about it, either). I served this massive halibut steak with a chopped green salad and briny Kalamata olives drizzled in a passionfruit dressing. 1. Preheat the oven to 400 degrees. Combine the olive oil, orange juice and zest, parsley, salt, pepper, and chilies in a shallow baking dish big enough to house the halibut without crowding. Marinate the halibut, turning once, for 30 minutes. 2. Bake the halibut steaks for 12-16 minutes depending on thickness, it should flake easily with a fork when it’s ready. Serve topped with a generous amount of fresh corn salsa. Combine all ingredients and allow to sit for 15 minutes at room temperature before serving. I have the strangest affinity to this album considering both of my parents listened to it with heavy frequency in the aftermath of their divorce. It serves as a landmark for that period of my young life, serving to gather my time scattered memories and ground them with something certain. I listen to this album and I remember Saturday afternoons with my mom and sister. We would go to the children’s library and I would come home with a pile of John Bellairs books and Tintin comics. My sister and I would spend the afternoon reading in the backyard hammock, the sounds of “You and Me” drifting out of our kitchen window. Maybe that’s where the fondness comes from, its relation to the kitchen. Certainly now, as an adult, I feel great comfort listening to this song and all of the others on the record; it brings a sense of warmth and kindness to a period that was fraught with anger, hurt, and sadness. Whenever I eat fish I feel as though I’m somehow instantly becoming a healthier and better person by proxy, it’s ridiculous how smug I feel when I’m eating it. I’m assuming this is largely because I had to teach myself to like fish, in no way was I born with an innate taste for inhabitants of the sea. I live with someone who really won’t eat fish so I limit these sessions of weird superiority to evenings when I’m alone in the apartment. This trout is simple to assemble quickly when you’re hungry and craving feelings of robust healthiness. The pale coral flesh becomes buttery soft once roasted in a scorching oven for a very brief amount of time. I tend to use fresh baby dill because I buy it regularly, other herbs that would be delicious are basil, cilantro, parsley and oregano; let’s just say that this recipe is very much open to interpretation. The fruity sourness of the lemon and the heat of the crushed black pepper once again prove to be an effective marriage of flavours and the Dijon mustard binds the two together with unwavering certainty. Because trout has a somewhat assertive taste I like to eat it with an equally assertive green and some garlic tossed together in a pan of olive oil for maximum psychological health benefits. 2. In a small bowl or measuring cup combine 1 Tbsp. of the vegetable oil, lemon zest and juice, fresh dill and mustard and stir until blended. 3. Using the remaining 1 Tbsp. 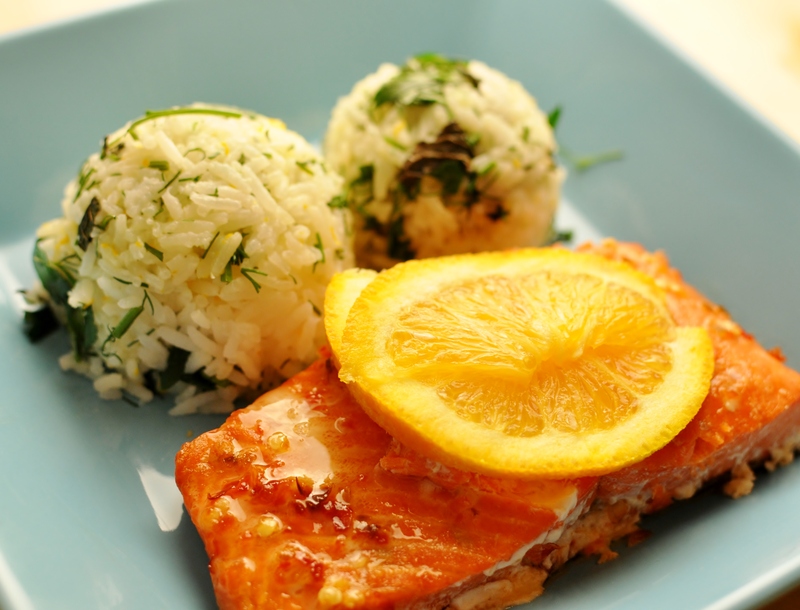 of vegetable oil to lightly grease a shallow glass casserole dish, place the trout skin side down and pour the lemon and dill mixture over the fish to coat. Apply the salt and freshly cracked pepper according to taste, I think lots of pepper provides a bite that pairs wonderfully with the acidic tartness of the lemon. 4. Roast the fish in the oven until the flesh turns to a soft coral shade and flakes easily with a fork; the fillets I use take around 11 minutes to cook. (I direct you to this handy chart for information on cooking fish for the appropriate time.) Eat while extremely hot and feel richly nourished. You know how sometimes you need a song to make you happy? Something that will lift you up and knock the dust off after a stupid day; my stupid days usually mean my ability to pass as an extrovert while actually desperately needing to be quiet and to not speak to anyone for at least 24 hours. New Order is, most of the time, the happiest depressing band ever so I find this song fitting for moods such as the aforementioned. It’s pop melody hyperbole, sunshine in 7:00 minutes and it will make you feel better and warmer.